We are the best providers of AngularJS Training in Chennai with expert guidance and fully interactive classes. Our training program is very much mixed both practical and interview point of questions. Awarded as Best Angularjs training institute in Chennai with Placements. We offer Training on Angular latest versions like Angular 2, Angular 4, Angular 5 and Angular 6 in Chennai. Our Angularjs Trainers are working Professionals having good exposure on all angular versions. We Offering Angularjs Classes in Our 10+ Branches in Chennai (Velachery, OMR, Tambaram, Porur, Anna Nagar, T.Nagar, Maraimalai Nagar, Siruseri, and thiruvanmiyur). Call us at 9962528293/4 to Book a Free Demo Class on Aws Concepts. Besant Technologies provides AngularJS Training in Chennai for trainees the most reliable study material, expert team of trainers, lab facilities, great infrastructure with a practice-based approach to learning and 100% placement assistance to all trainees. It is time to master the Angular 2,4,5,6 from the top-rated IT training institute of Chennai to stand out from the crowd. What Is an AngularJS Training? 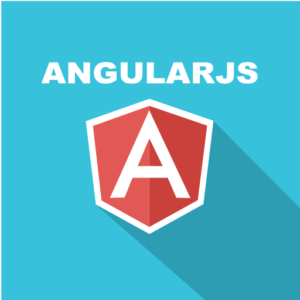 What do we do at Besant Technologies for AngularJS? Whom AngularJS is suitable for? The course curriculum is designed to meet the requirements of the industry. It is a practical based training providing its trainee’s opportunities to deal with real-time live projects. The real scenario in the industry is companies recruit freshers and train them in AngularJS. So when a candidate is already an expert in AngularJS then the chance of getting placed doubles up. Almost 70% of the companies working on AngularJS is having the shortage of AngularJS developers. Are you ready to grab the offer? Join Now AngularJS Training in Chennai at Besant Technologies. with amateur level and end up as an AngularJS professional. An expert faculty who possesses up-to-date knowledge and vast experience in their field. A practical-based approach to learning. Apart from theoretical concepts imparted in the classrooms, the students are given a thorough hands-on learning experience to boost their confidence and enhance their skills as well. During the course, aptitude training, soft skill skills and mock interviews are preparation given to trainees to get placed successfully in the real IT world. The institute offers modern amenities and facilities, with well-developed infrastructure and lab facilities. The trainers at our institute are working professionals from the industry who possess vast experience and up to date knowledge about Angular 2, 4, 5, 6 and 7. They believe in quality learning and hands-on learning experience. They have the great passion to teach and have given more than 2000+ IT experts in the last few years. Join us for Angular 2/4/5/6/7 in Chennai and placed in Top MNC with good Salary. Apart from knowledge, experience and teaching passion they have enthralling personalities and great communication skills which they imbibe in the trainees too. The certification provided after the successful completion of the AngularJS Training in Chennai programme adds a professional credential to the trainee’s CV. The certificates are globally accredited by all major MNC’s. Have you mastered the skills of AngularJS programming? It is time to implement the learned skills. Besant Technologies gives the opportunity to all its trainees to find the most perfect platform to showcase your skills. At Besant Technologies we provide 100% placement assistance to all the trainees. We give placement training like aptitude training, soft skill training, and mock interviews to make the aspirant’s industry ready. We have successfully placed more than 2000 students and have the regular record of quality placement in lucrative job positions. So grab more opportunities by our AngularJS Training in Chennai. Why to use angular among N number of frameworks available. Besant Technologies Reviews gave by our students already completed the training with us. Please give your feedback as well if you are a student.